It’s our 10 year anniversary and it’s party time at Lucas Fox! 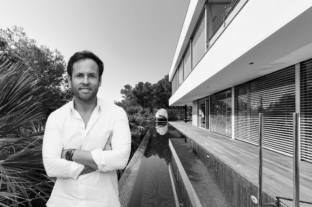 10 years on, co-founders Alex Vaughan and Stijn Teeuwen talk about their vision for the Spanish Property market in 2015 and their future plans for the company throughout this year and beyond. CF: How would you sum up the property market so far in 2015? AV: So far the signs are very positive. 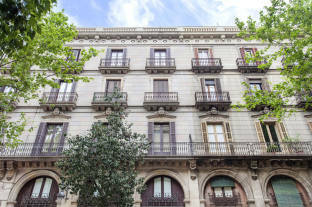 International investment in Spanish property looks to be steadily increasing, there is increased confidence in the market, new developments are coming up for sale and the weak Euro is making it a great time to buy for some groups of foreign clients. Perhaps more importantly there are clear signs that in major cities like Barcelona, Madrid and Valencia, national buyers are starting to buy again. This has been helped by the increasing willingness of Spanish banks to give mortgages to qualified buyers. CF: There is a lot of talk about 2015 being ‘the’ recovery year for the Spanish property market. What advice would you give to a potential investor? AV: I think the market has been slowly recovering since the beginning of 2013 and that in many areas prices bottomed out in the last two quarters of 2014. So far 2015 looks set to be the year that the market really turns the corner and that transaction levels start to increase significantly. 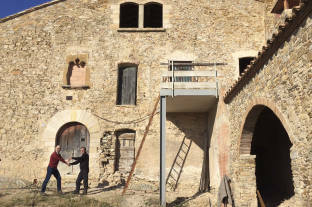 As we have been saying for the last couple of years the key for investors in Spanish property is to focus on location. The prices of properties in prime areas will recover first and now is a great time to take advantage of low prices and buy in the best prime micro location you can for your budget. CF: The love affair with Spain, Spanish property and lifestyle seems to have been re-ignited recently. What is it about Spain that appeals to so many people? ST: I am not sure that the love affair with Spain ever really stopped. In the period 2007 to 2014 there was a lot of uncertainty about the market and this made a lot of people put their plans on hold. The big appeal of Spain is lifestyle and almost all of our clients at Lucas Fox are what we call “lifestyle investors”. 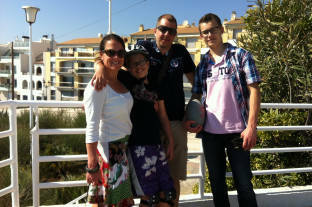 They want to make a wise property investment but choose Spain because of the quality of life it offers. CF: 2015 has seen new developments come back onto the market. Why has it taken so long for this type of property to re-emerge? And who do they most appeal to? ST: The lack of finance available to developers and question marks over the market have been the main factors. The new breed of developers coming into the market are a combination of the better national developers who survived the last 7 years and international developers. Both often have institutional money behind them and are not reliant on bank finance. New developments appeal to everyone, local and international buyers, basically anyone who wants to own a brand new modern home. CF: Lucas Fox established two new offices in Valencia and Madrid in 2014. How have they fared? ST: Madrid and Valencia were unknown markets for us and both were a calculated risk due to the fact that they are predominantly national markets. The risk has paid off as both offices are performing beyond our expectations. CF: This year sees Lucas Fox celebrate its 10 year anniversary. How has the company evolved since it was founded in 2005? AV: I think it would be fair to say that the company is almost unrecognisable since Stijn and I started it from our spare bedrooms in 2005!! We now have 10 offices, almost 100 staff and an internationally recognised brand in Spanish real estate. The most exciting thing for us is thinking about what Lucas Fox will look in another 10 or 20 years time! CF: How has your client profile changed in the last 10 years? ST: When we started the company in Barcelona our clients were predominantly UK and Irish. Now, our Barcelona clients come from all over the world – Europe, the USA, Asia, Russia – testament to the growth of “brand Barcelona” in the last 10 years. In our other offices the client profile is similarly diverse. CF: What plans do you have for the rest of the year and beyond? AV: Our plan for 2015 is to consolidate our position as the leading independent estate agency in our main markets and grow our new development sales and marketing business. However, as always, I am sure that some great opportunities will come along and we won’t be able to resist getting involved! We have just taken on our third Barcelona office in the newly developed Marina Port Vell, we recently opened our fifth Property Lounge in the Costa Brava and plans are afoot for Lucas Fox Property Lounges in Marbella, Madrid and Valencia. Watch this space!